In an effort to spice up the time-tested Air Max 1 silhouette, the Swoosh is adding a premium suede touch to this colorfully-created selection. Calling upon autumnal hues the likes of Golden Moss, Blue Force, and Sail, this iteration’s mudguard opts for a crisp black for contrast, anchoring this finely-crafted Tinker Hatfield classic. 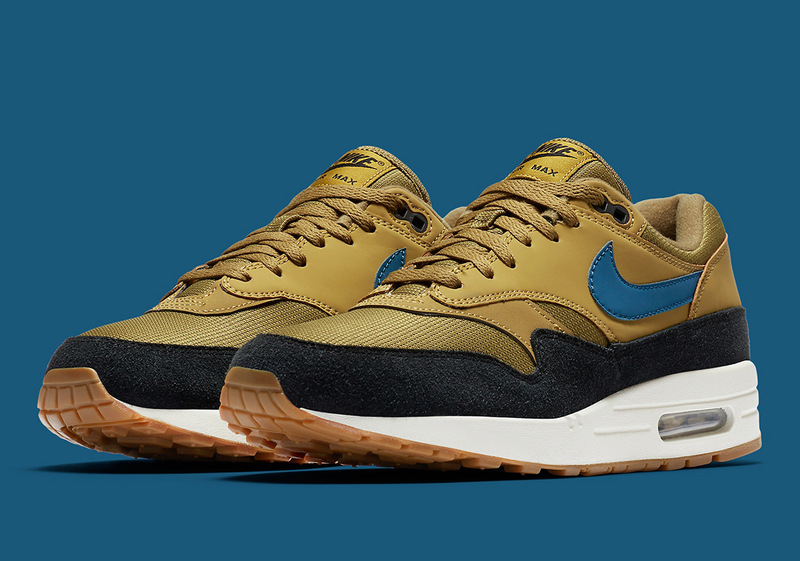 For an extra classic touch, gum makes its presence felt on the outsole of this design, while that aforementioned blue shade adorns the AM1’s concealed Nike check. If you’re in the market for a unique take on one of the more classic Swoosh Brand icons, than check out our store list below and head over to one of those retailers today.